Every time I read an interview with Baryshnikov I am reminded of how much I resonate with his philosophies about the art form of ballet. He is perceptive, restless, and daring. 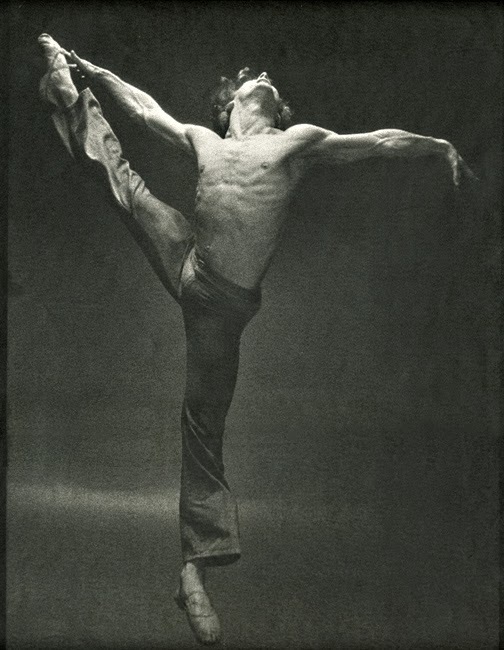 His dancing was the definition of raw, unaffected masculinity and brilliance. But despite his technical prowess - his technique was often described as "flawless" - he understood even from a young, precocious age that technique and fireworks is at the service of the dance. Artistic integrity comes first. "I am interested in the emotions under the skin that a dancer can project...you have to be simply honest, you cannot act it out." My parents took my sister and I to see him dance with his White Oak Dance Project in Sydney when I was around 12, and even though he was already in his 40s and perhaps not as mobile as he once was, I was greatly affected by the power of his dancing despite its subtlety and artful restraint - a supreme stillness unlike anything I've seen since, as though he were a god dancing on a celestial stage. Power from purity. Even though, like Madonna, he only really needs to be referred to with one name, he is a super level-headed guy. "Have a life besides dance. Go to see works in the galleries, go to music concerts, and read a book. You know, bunhead, it's bunhead. But there should be something in that bun." Don't forget to share your favourite images of real ballet and real dance on social media. Check my previous "real ballet, real dance" post for the lowdown.